There’s nothing quite like the sweet ride of steel. Especially when it comes to an all-purpose trail bike. The new Kona Explosif takes our hardtail heritage and dashes it with some new—most notably the advantages of 27.5 wheels. 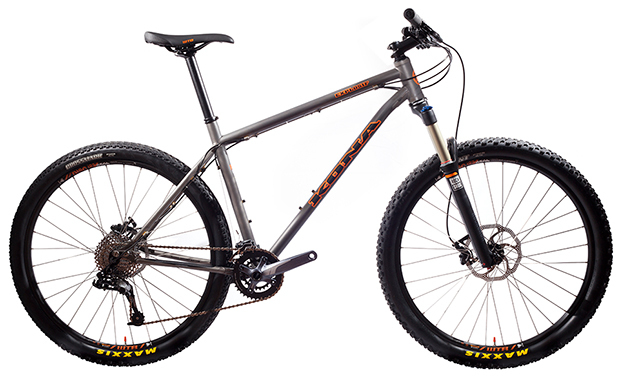 Featuring a Kona Cromoly double butted frame, the Explosif uses aggressive trail geometry (68-degree headtube, low bottom bracket and short 420mm chainstays), while at the same time providing options via a sliding dropout system that can accommodate singlespeed, a 135mm standard geared system, and even a 142x12 thru axle for gnarlier applications. 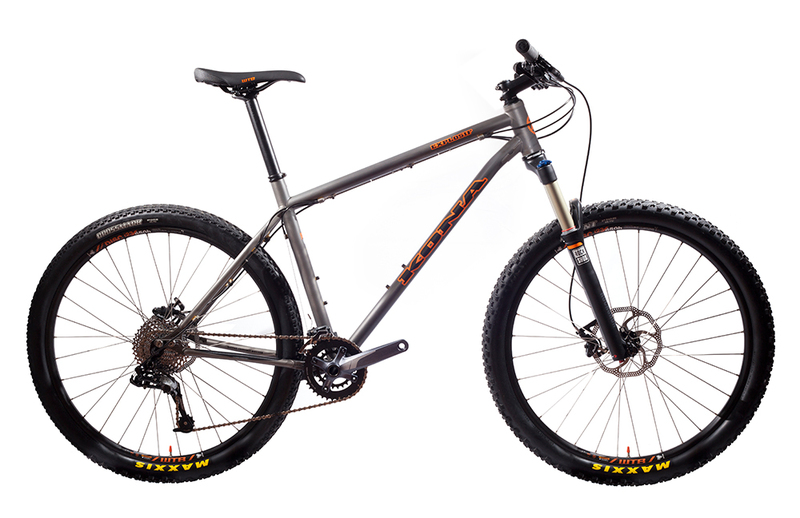 Throw in ISCG tabs, dropper post cable routing, a 44mm internal headtube for tapered forks and most trails imaginable are now yours to blow up. Enjoy the pyromania.